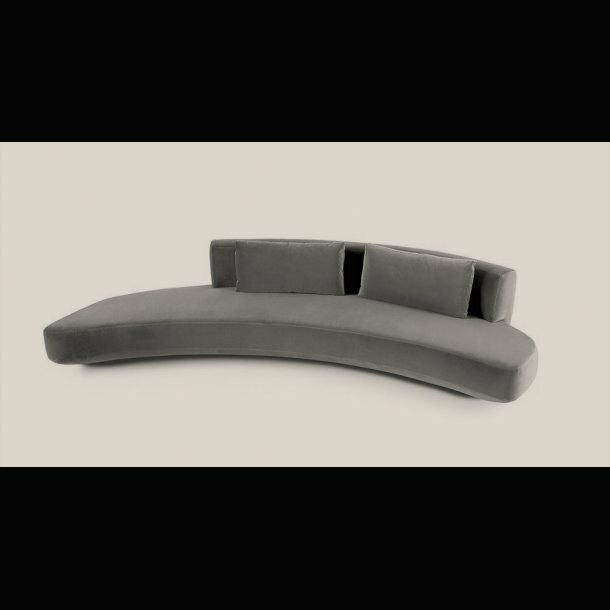 Sofa in non-deformable foam in different density and polyester fibre with wooden inside structure. Black lacquered wooden feet. Available covered by fabric or leather. Decorative polyester fibre cushions, on request.